Amazon might get the Pentagon’s JEDI contract worth $10 Billion! While some tech giants do not agree with the JEDI cloud contact and are not taking the amount from the Department of Defense, Amazon, on the other hand, is okay with everything other companies are not accepting. Jeff Bezos, the CEO of Amazon, made this clear today at the Wired25 conference. Google already withdraw from this 10 years contract from Pentagon worth $10 billion. Bezos says that he’s happy to take the government’s money. What’s intriguing is that we didn’t hear from Bezos until the issue became un-hushable. 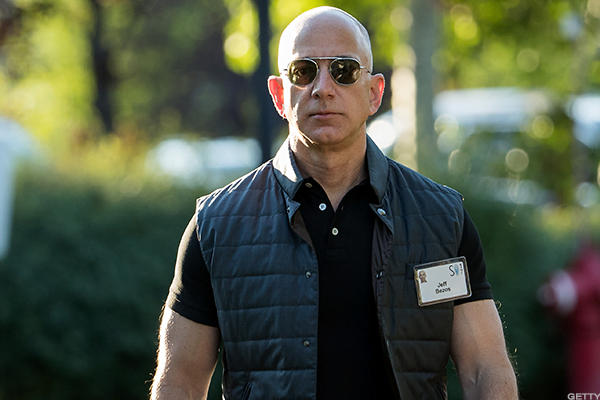 This actually makes us skeptical of Bezos’ position. However, we did see IBM lodging a formal protest with the Government Accountability Office. From the way IBM is contesting it, it is quite obvious who are they accusing. IBM clearly thinks that the government is siding with Amazon in this regard. While Google made it clear that it will not go against its set of rules regarding AI by misusing the technology by the government, Bezos chose his side by stating that all technology can be used for good. “Technologies are always two-sided. you know there are ways they can be misused as well as used, and this isn’t new,” Bezos told Wired25. Sources will have you believe that Bezos is not wrong but let’s just agree that his intentions are quite clear here. Bezos is presenting hollow arguments to justify his actions and is literally beating around the bush. The value of this contract is estimated at $10 billion. The contract is supposed to last for a period of 10 years. Bidding for the contract already closed last Friday. The Department Of Defense is supposed to pick the winning company next April 2019.